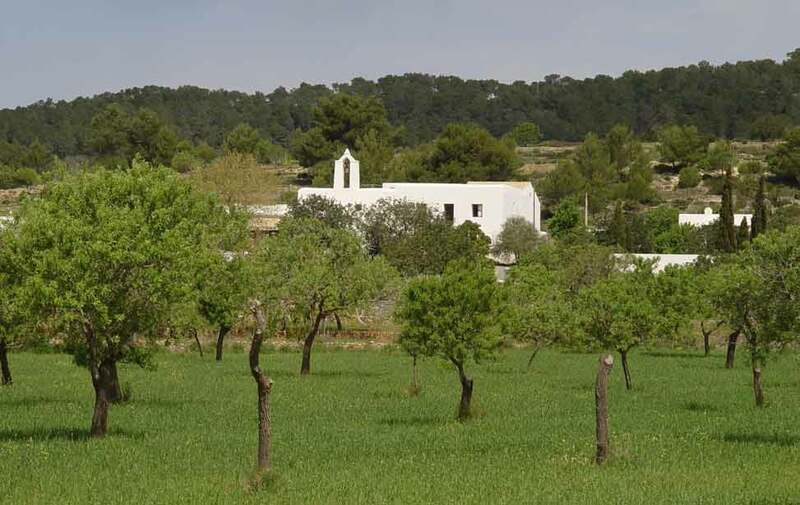 Despite its small area, Ibiza has a very complex network of trails due to its agricultural heritage. To get the most from navigating the countryside, a knowledgeable guide is essential and will increase your enjoyment. "My wife and I thoroughly enjoyed our 3hr tour with Oliver. He provided the best and lightest mountain bikes I've ever used on a guided tour, the equipment seemed new and perfectly tuned. We managed to see a lot on our tour and Oliver was happy to adjust the riding pace to our needs. The whole experience was really enjoyable we'd certainly come back!" 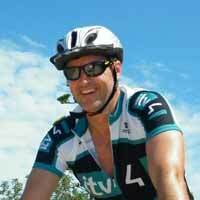 "All four of us can honestly say that our cycling tour was the highlight of holiday in Ibiza. It was great fun – a little challenging at times, but in an enjoyable way. 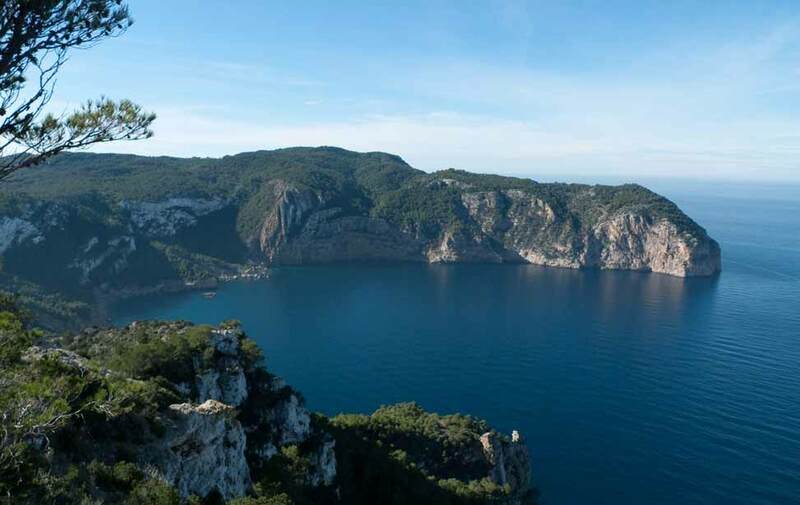 We were glad to see interesting places that we would never have known about, such as small beaches and areas of natural beauty that aren't featured in guidebooks. We even returned to these places later during our holiday. And as an added bonus, our guide Oliver also acted as a photographer, getting some great shots of us along the way!" "We had a fantastic time on a private tour with Oliver. 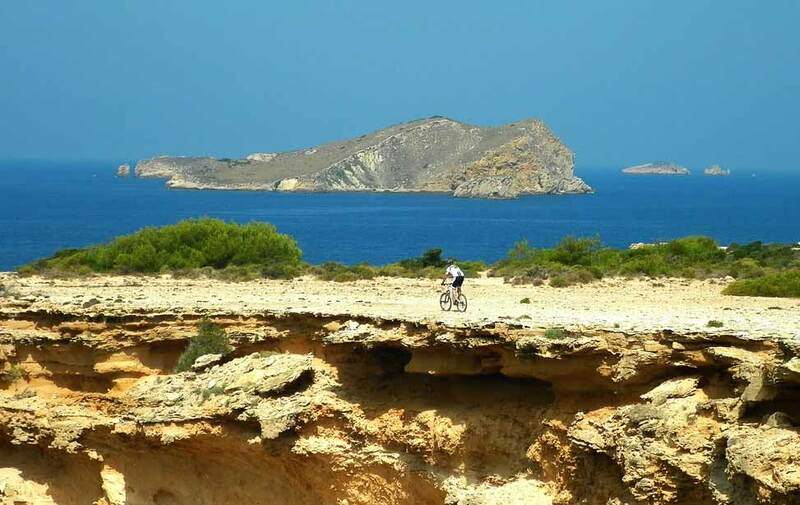 He showed us beautiful parts of the island which we would have never seen if not on a bike. Oliver picked the perfect trails to suit our ability and offered helpful advice to improve our technique. 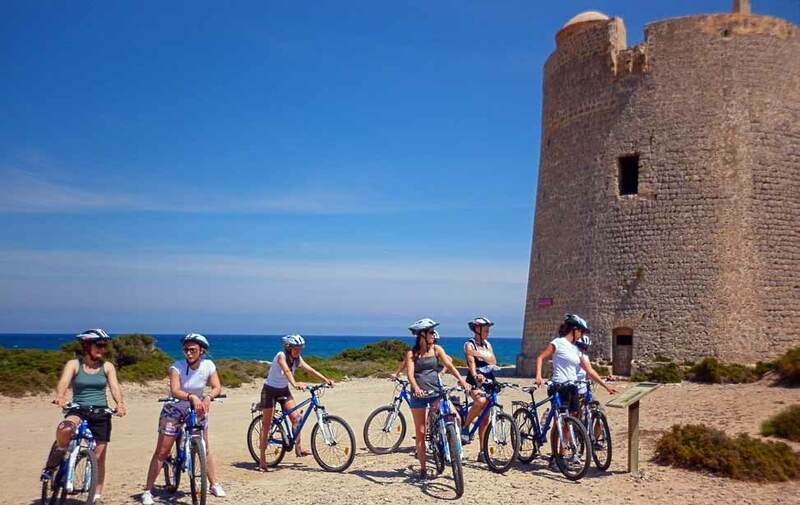 The bike tour was one of our favourite activities in Ibiza and we highly recommend it to anyone wanting to do something a bit different!" 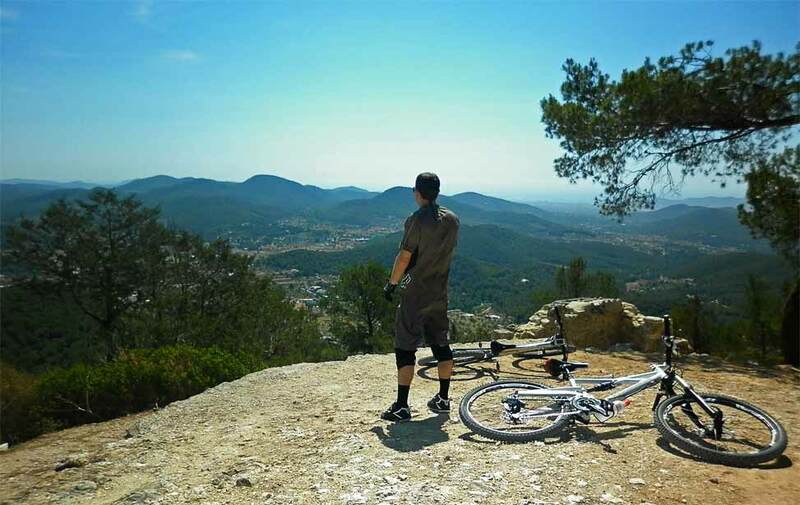 "Oliver provides a great mountain biking experience across the beautiful tracks and countryside in Ibiza. 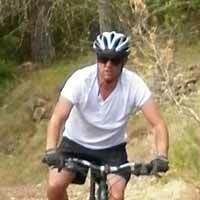 All shapes and sizes can enjoy but let go and Oliver will show you what a great tour guide, mountain biker and host he can be. Always one of the highlights of my holidays in Ibiza!" "One of the best tours I made ever. 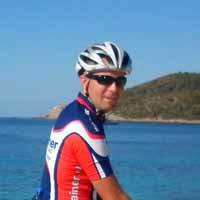 Oliver from ibizamtb is a experienced open-minded and well conditioned guy with a lot of experience and the right feeling for his followers. 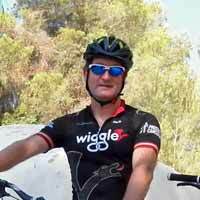 Magic places, challenging uphills, tricky downhills or a relaxed landscape ride - just say what you like, he will make it happen." "Oliver's tours on the island are superb. 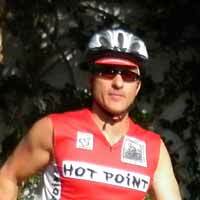 He can cater for all levels of rider from experienced to those after a gentler ride. He makes sure the bike fits you perfectly before setting of anywhere and is able to guide you whilst still giving an insight into Ibiza details along the way only someone that has been on the island as long as Oliver can provide. Thanks again for another great tour I hope to be back sooner next time!" "Dear Oliver, thanks for two lovely trips through your beautiful island. Not only did I enjoy the landscape and the exercise. What's more, I appreciated the knowledge you shared about the Island. 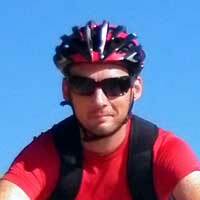 I am the wiser for it…"
"I did the 3 hour West Coast MTB tour with Oliver in August 2013. It was a fantastic experience and Oliver was the perfect guide showing me places where the everyday tourists to Ibiza wouldn't see. 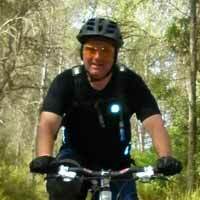 The bike was a decent hard-tail and the trails were not too technical in my opinion but I do mountain bike in Ireland a bit so I'd have some experience. 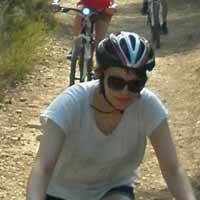 It's a lot rockier in Ibiza so I would say it's more difficult than the dirt trails I'm used to. I can't speak highly enough of Oliver and his guided tours. I know I'll be back in Ibiza some day and I will definitely get in touch for another tour again. Thanks for everything Oliver!" 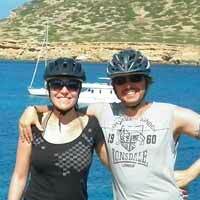 "Going to Ibiza for a week, my wife and I wanted to keep up our mountain bike training, while on vacation. We found IbizaMTB, and took a very nice trip around Santa Agnes with Oliver. The Cannondale bikes were really nice and high quality, and the guided tour was a very good, as Oliver is very familiar with the island, and its beautiful terrain. 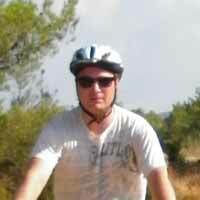 We will surely come back and take more trips with IbizaMTB, next time we are in Ibiza"
"From my initial contact with Oliver, through the quality of the bikes, and the wonderful ride he took us on, my experience with Ibizamtb was excellent. A really nice touch was that Oliver came to our villa and we rode straight off from there. Thoroughly recommended." 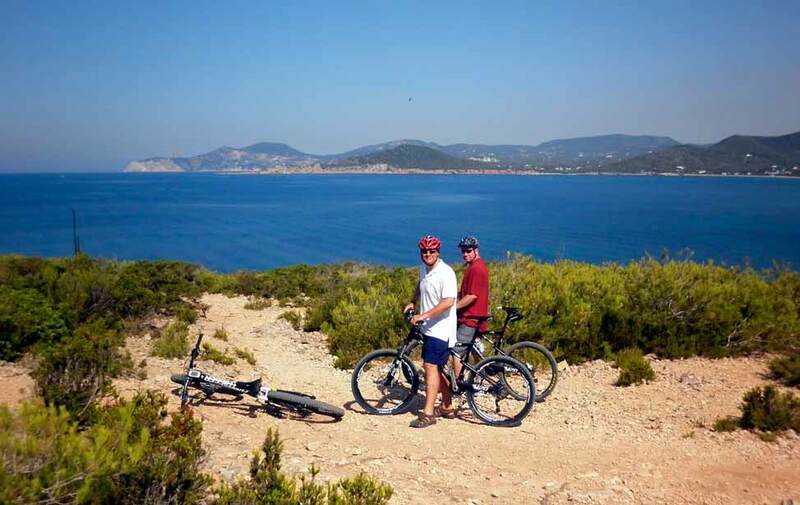 "We spent a fantastic morning in the hills Ibiza and our guided tour took in some awesome riding from Santa Agnes, as we meandered through farms, vineyards, single track and forest trail allowing us a wonderful insight into Ibiza's history, culture and amazing environment. Our guide and company owner Oliver was completely focused on providing an outstanding level of service,including local history and many riding tips and we experienced a wonderful and insightful tour, a real connection with local culture, a chance to immerse ourselves in the landscape and some incredible mountain biking. Riding for all levels and abilities and a must do if you visit this beautiful island, we'll be returning to ride again, many thanks Oliver, see you soon"
"We had a great time, it was excellent that we got picked up from our villa and dropped back off again, so convenient. The route was ideal, incorporating lovely coastal views as well as challenging tracks and hills, something for everyone! 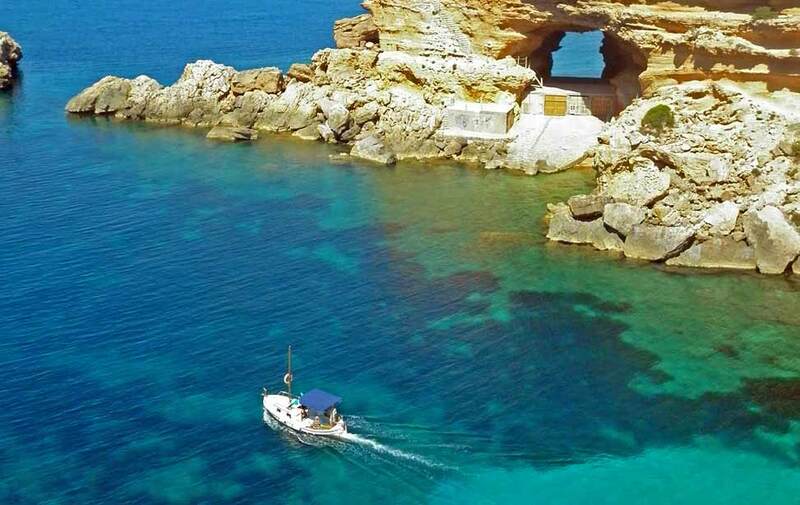 A great way to see the real Ibiza. Also a nice touch was stopping off for a drink at the local hippy market to rehydrate in the hot weather. Thanks for giving Nick a wonderful outdoor birthday surprise!" 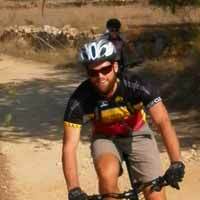 "We had 3 days of fantastic MTBing with the length and difficulty of trails perfectly matched to our abilities. Spending time and talking to Oliver gave us a unique insight into Ibizan life. We think coffee and cycling go together and we managed to combine both well, along with taking in some local markets and a very special museum. 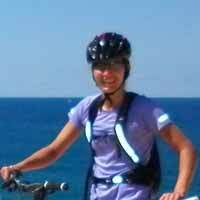 We rode through spectacular scenery and coastline and loved every minute." "Thanks for the photos there great I don't know how you've done it but you've made look like I know what I'm doing. 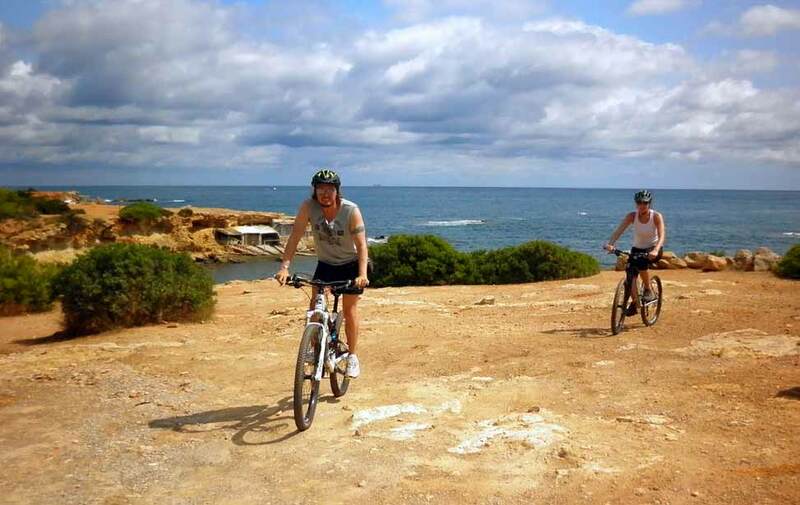 As for the day out, I could recommend you to anyone from beginner to experienced, great bikes, great weather, great views, to go out and see the Ibiza countryside without having to look at maps to find where to go worth the money alon. Will definetley be seeing you again next year. Cheers!" "Our adventure around the island with our tour guide Oliver took us on the most amazing off-road tracks through the centre of the island. The majority of the journey saw us passing through beautiful farm land, fields of fruit trees and wild forest untouched by major tourism. Without Oliver you would never see these routes being far off the usual tracks. The bikes were top class and they needed to be as the route became challenging at times which made for a trip to remember. This has to be the best way to see Ibiza for what it really is. Thanks a lot!" "Oliver's bike rides are the best on the island! 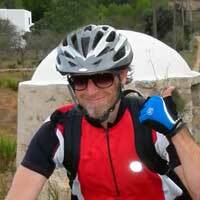 He took us on the most picturesque, tranquil routes that showed us the hidden beauty and magic of Ibiza. 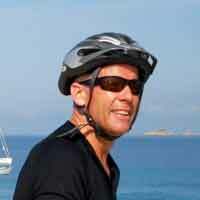 His friendly persona and knowledge of the island is unrivalled and made for more than just a bike ride. We recommend to anyone looking to see another side to the island beyond the beaches must book a tour with Oliver. You will not be disappointed! Love and hugs"
"In September I had a fantastic tour with Oliver. He knows a lot of nice pieces of the island and knows a lot of history. We have hard climbed up and went down fast. The journey took much longer than was agreed and was very nice. 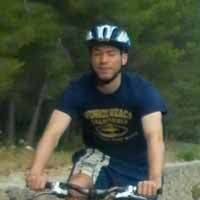 The bike was really good and I can not think of anything bad about ibizamtb.com. If I go back next year and I definitely want then I will definitely be a few trips with Oliver. Really a must, best wishes!! Rob"
"My girlfriend and I spent the week in Ibiza and were looking for some relief from the crowded nightlife scene. 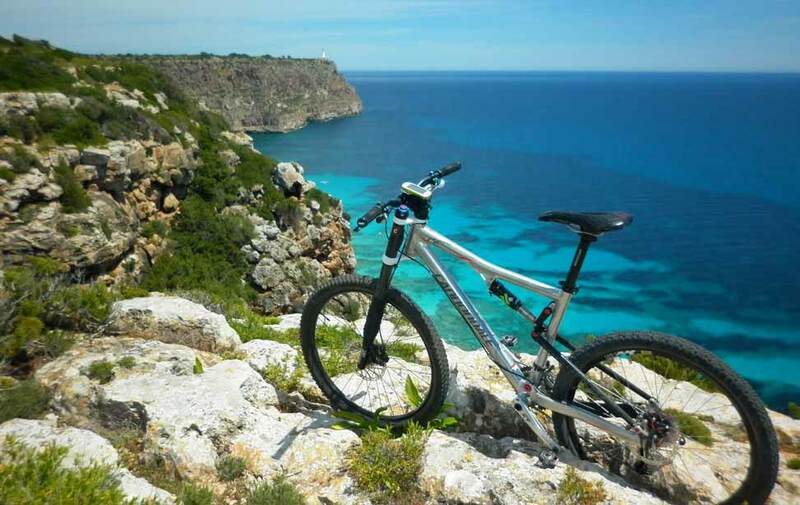 We found Oliver and Ibiza MTB online and couldn't have asked for a better experience. Oliver and his wife are incredibly nice people that go out of their way to make sure you have a great experience. They did a fantastic job structuring a ride which was both relaxing and challenging, filled with beautiful scenery and nice conversation. Oliver grew up on the island and has lots of insight on the side of Ibiza which many of us are unaware of. 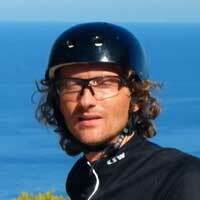 I highly recommend a trip with Oliver and Ibiza MTB. Thanks again!" 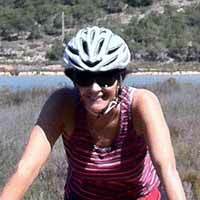 "During my latest visit to Ibiza I booked the Guided Advanced Trail Tour I had a great time. Uphill tracks were hard, the fast downhill parts were very nice. During the trail, you get a close view of the inners parts of the island, and wide views from the hilltops. Oliver is a great guide, he knows the right tracks, and he is a fun guy to be with. Next time I will book the West Coast trail ride, because of its amazing views along the coastline. I'll be back soon !" "After contacting Oliver via the website I was able have him meet me at my hotel which made it a clear choice to go with him. I also asked for him to bring a couple sets of bike seats so I could choose the most comfortable one. The bike was awesome, the tour was great and Oliver spent the time to tell me about each location we went to. The trip was designed as I wanted it so if we wanted to slow down, no worries...speed up. No worries. 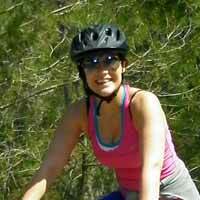 Great work out and I highly recommend going with Oliver, happy biking!" 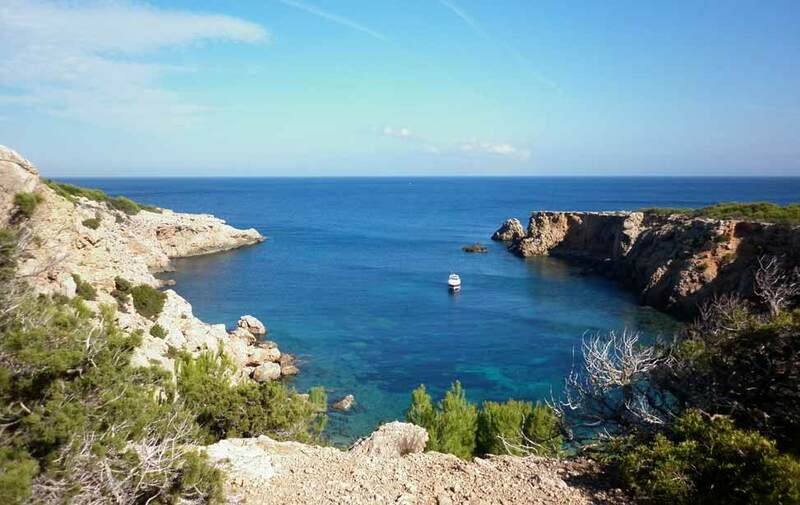 "For the second time, thanks to Oliver, we spent a wonderful time discovering the beauty of Ibiza. Oliver is definitely someone who can share his passion for the island. Once again the tour was amazing and will remain one of the best souvenir of our holidays. Oliver, you did it great one more time! It was just perfect: the high quality of the bikes, the explanations, the tour. Todo perfecto! Can't wait to do it again next year! :-)"
"First of all thank you for making me discover your beautiful Island, with interesting stories and such great passion for our sport (MTB) and your island and leaving me with a great portofolio of photo souvenirs. I enjoyed everyone of our rides, great variety of terrain, scenerie, loved the way how you adapted everything to my needs! Great moments of conversation about old school MTB ( 23 years of practise) one thing for shure, I will come back! 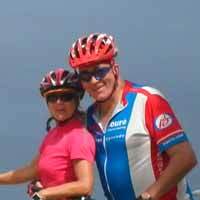 Thank you great man"
We offer 3 types of guided tours, with everything needed to enjoy best trails and roads of the island. 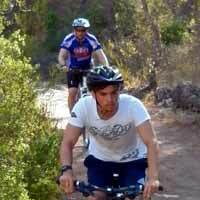 All tours include: bicycle with helmet, bottle of water Lanjaron 0,75L and guide service.